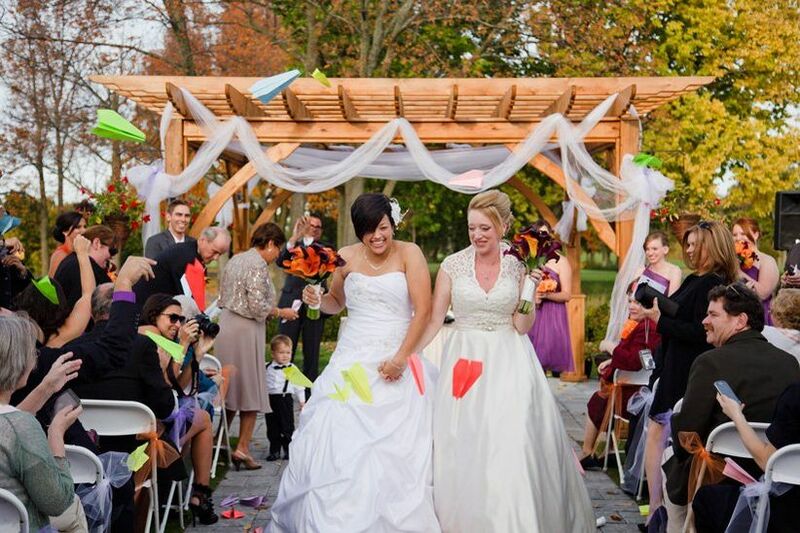 10 Creative Confetti Ideas for Your Wedding Ceremony Exit | Wedding Ideas ARE YOU A VENDOR? You don’t have to be showered with rice as you make your wedding ceremony exit! Here are a few of our favourite alternative confetti options. After you’ve officially tied the knot it’s time to head to your dressing room to prepare for your wedding reception. 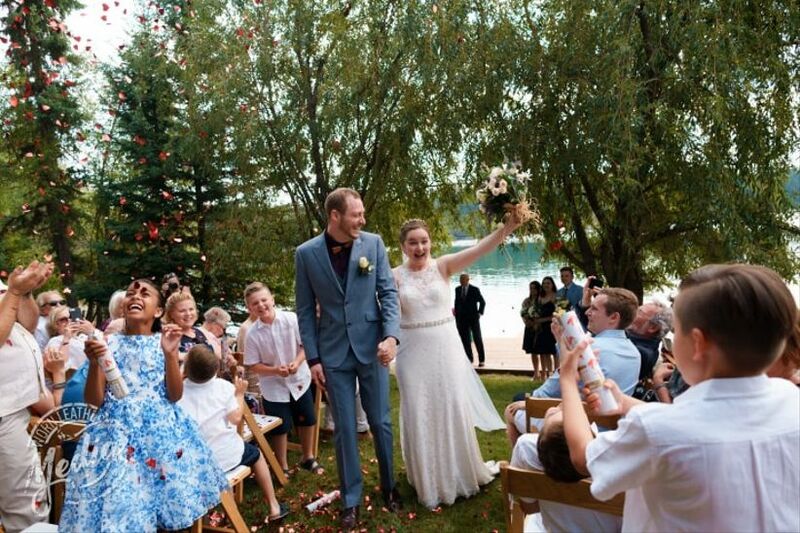 As you make your wedding ceremony exit you’ll be met with cheers, claps and a possibly a showering of confetti. While rice is the traditional confetti choice for weddings - it’s meant to bring the newlyweds prosperity, fertility and good fortune - there are tons of other options worth exploring. 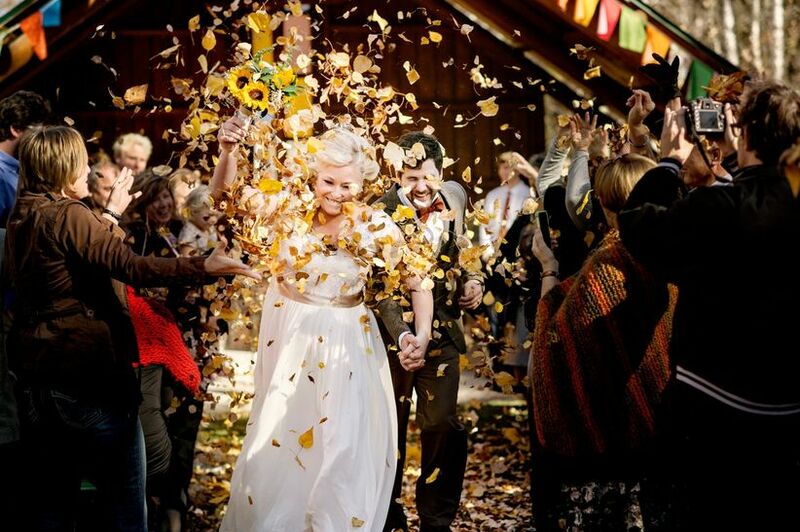 Here are a few of our favourite confetti ideas for your wedding ceremony exit. 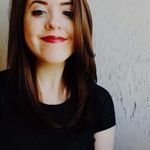 Are you a couple that loves to travel? Put your paper folding skills to work and create dozens of colourful paper airplanes for your guests to toss. 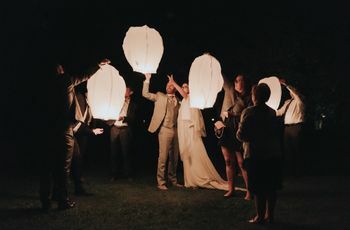 This wedding ceremony exit idea is sure to be fun for all ages of wedding guests and should make for some friendly competition to see which ones fly the highest and furthest. Flower petals are such a versatile wedding decoration. You may have asked your florist to scatter a few on your dessert table or to lay some on your aisle to give it that extra oomph, so what’s adding a few more to your order for your wedding ceremony exit? Choosing your confetti petals is a pretty simple process, just look to the bouquets and arrangements you’ve already crafted, use the main shade in your colour scheme or stick to white (it’s a foolproof, wedding-friendly option). 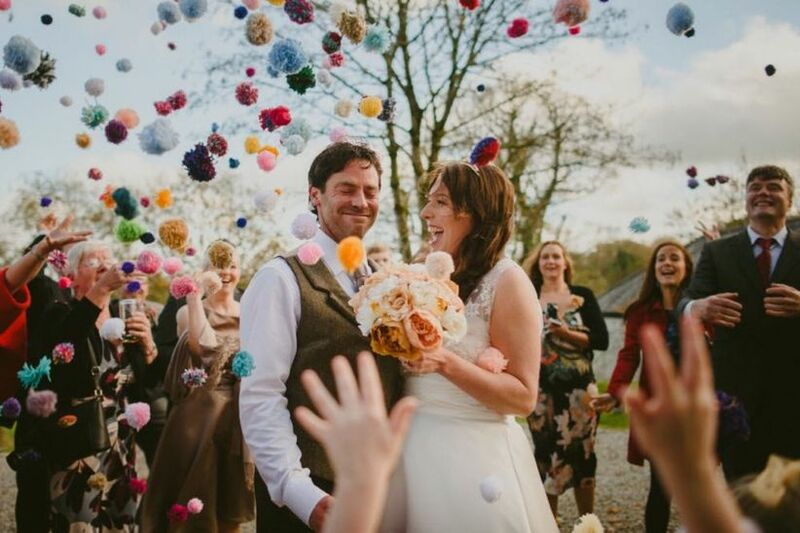 Give your big day a bit of childlike whimsy by being pelted with pom poms as you leave your venue. 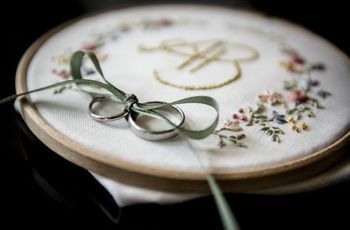 These soft little decorations are an inexpensive and colourful way to jazz up your wedding ceremony exit. Tip: you’ll probably want to err on the smaller size with these guys - even if big ones look amazing, you probably don’t want to be smacked in the face with a softball-sized pom pom. If you really want to capitalize on all things lovey dovey on your wedding day, why not have your guests shower you with some heart-shaped confetti as you make your exit? You can use just about anything to craft them - from maps to comic books to pages from your favourite books. Bird seed is an eco-friendly option that works just as well as rice, paper or pompoms. 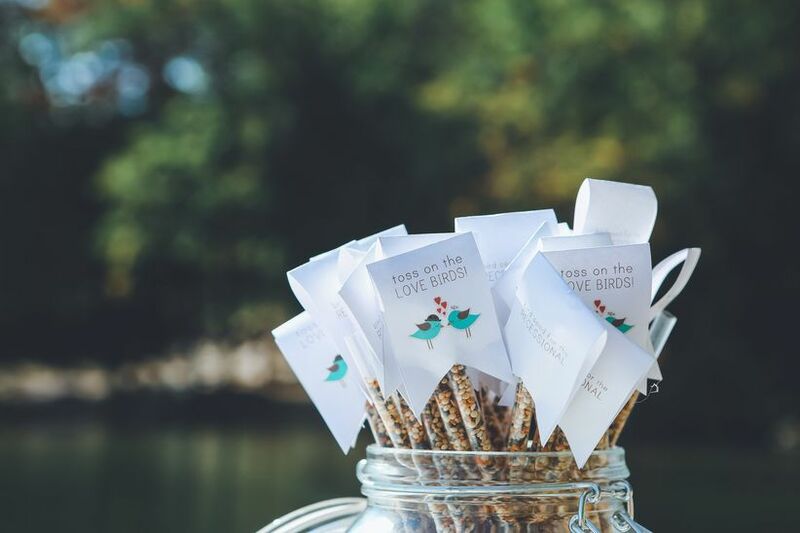 Not only will you get the magical celebratory exit you’ve been dreaming of, but your feathered friends will get a stellar post-ceremony snack. Bonus: you won’t even need to ask your cleaning crew to take care of this one - and they’ll thank you for it. Want to give your wedding ceremony’s grand finale a bit of sparkle? Make your own magical pixie dust with cones of glitter. This budget-friendly option will leave you and your brand new spouse glowing - literally. 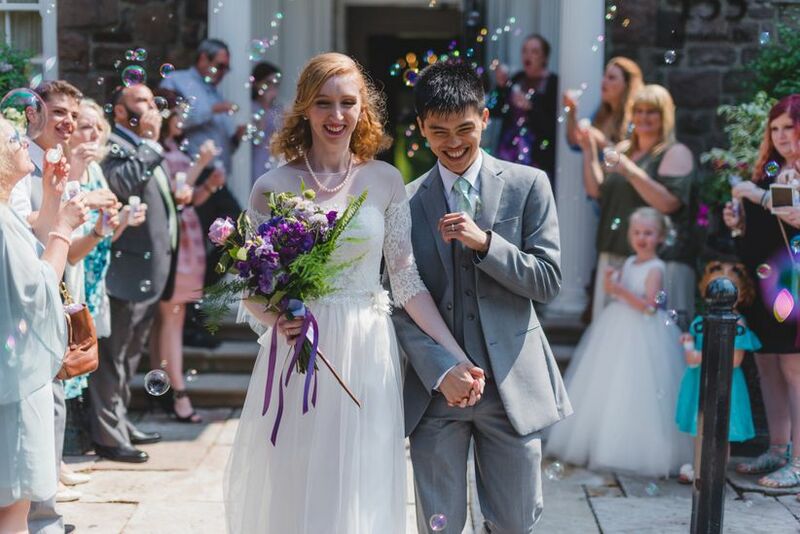 Always a crowd pleaser, blowing bubbles is a whimsical way to be showered as newlyweds. Bonus: there will be no sweeping up required and your younger guests will be kept entertained at your cocktail hour- they can keep blowing bubbles to their heart’s content. Fresh herbs aren’t just for cooking! They can easily be transformed into confetti, too. If you want to infuse your wedding ceremony exit with a little more meaning, we suggest doing a little research before setting your herb selections in stone. 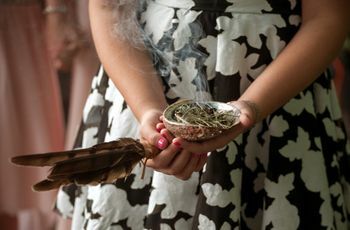 Oregano (which signifies joy), mint (which signifies virtue), sage (which signifies wisdom) and lavender (which signifies devotion) are all great options. 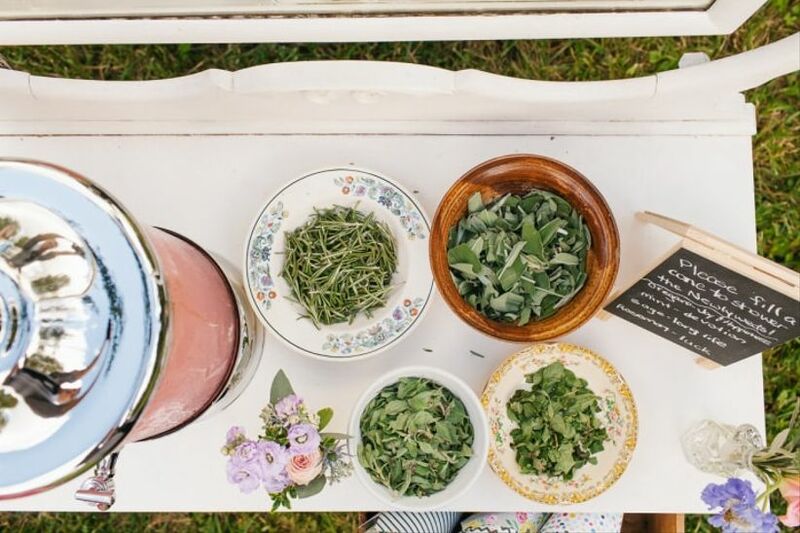 Inject your wedding with some boho flair by turning to Mother Nature for help. From trend-forward eucalyptus to red and yellow-hued maple leaves, you’ve got a bevy of options at your disposal. This works perfectly for duos who have chosen a nature-y theme or want to bring a bit of the outdoors inside on their big day. Can’t decide on just one type of confetti? Do it all! Have your guests put together their own mix of ribbons, glitter, paper, petals and the like. 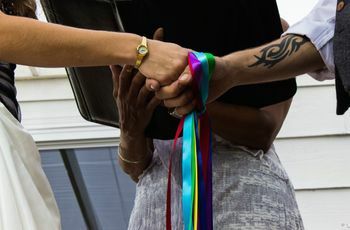 Make sure that all the colours you choose work together so that you end up with some stunning wedding ceremony exit photos.